Revelation Chiropractic is proud to be a family chiropractic team—and that doesn’t just refer to how well we work together. Chiropractic care is a non-invasive way of treating and preventing injuries by focusing on the spine, joints, and nervous system. Because of this, it is safe enough for anyone of any age, from infancy to one hundred (and beyond). We hear questions pretty regularly about whether it’s safe to bring a child in for an adjustment, or if chiropractic treatment could be helpful in dealing with the aches and pains of pregnancy. The easy answer is yes! Each treatment is tailored to the person receiving the adjustment, so we will ensure we are doing what is best for that individual’s body and needs. Chiropractic care is non-invasive and often reduces or removes a need for medication, so before your child has to go under the surgeon’s knife, see how chiropractic could help! As your pregnancy progresses, you are sure to notice a lot of ways your body is changing to nourish and protect the new life you carry. While your body does a lot of the heavy lifting, both literally and figuratively, there are ways you can help ease the discomfort that inevitably comes with the changes. Because there is so much shifting throughout your body as your child grows, there is a higher frequency for your spine and joints to come out of alignment, which can put pressure on your spine and pinch nerves. Chiropractic adjustments can help get your body back into alignment, which alleviates the pain from pinched nerves and stiff joints. Chiropractors are trained specifically in performing pregnancy-safe adjustments, so there is no need to worry about your safety or your baby’s during chiropractic appointments. Who doesn’t love a relaxing massage? In addition to our chiropractic services, we offer prenatal massages to help soothe away the aches and discomfort of pregnancy. Even one prenatal massage can provide relaxation, tension release, and relief for muscle cramps and pain. When done regularly, they can increase blood circulation to reduce swelling, enhance skin pliability, and even help decrease labor time and ease labor pain. Sounds pretty amazing, right? The Revelation Chiropractic team wants to help you get through your pregnancy as safely and healthily as possible, which is why we offer pregnancy-focused massage and chiropractic adjustments. Chiropractic care seeks to provide well-rounded care, strengthening, and pain relief for the whole body no matter the age. 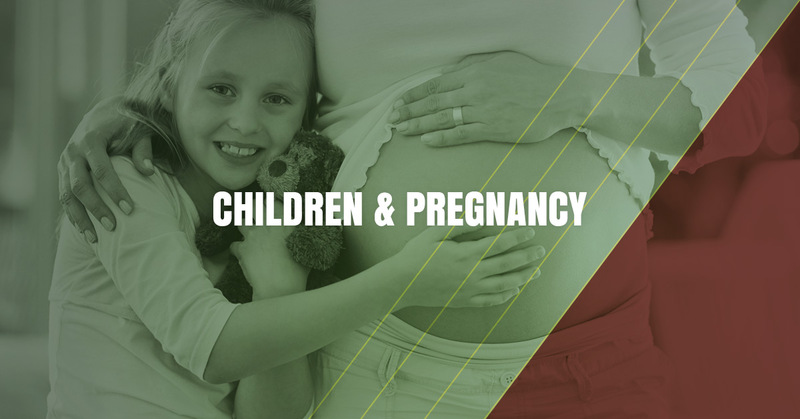 Click through the above links to learn more about how child and family chiropractic services can help during pregnancy, after birth, and throughout your and your child’s lives. Contact the Revelation Chiropractic team to learn more or schedule an assessment!